In 2005, the real estate sector outperformed all others, but eventually fell 40 percent. 3. Why Does the Stock Market Go Lower in October? Stock market professionals divide the market into sectors by industry. One common division, the Global Industry Classification Standard, identifies 10 groups according to economic activity. These include retail sales, industrials, communications and utilities. Each of these 10 sectors has its own performance profile, which reflects how well the sector performed in the past, and performance potential, which is an estimate of future performance. Although many investors look to a sector's past performance record as an indication of its potential, the potential is not always realized. Information on sector performance is available on the research pages of the major online brokerages and at investor information websites. The Morningstar sector information page, for example, shows sector gains or losses over 3 days, the year to date, 1 month, 3 months, 1 year, 3 years and 5 years. Glancing at these various performance figures shows how widely one sector may vary from another in the same period of time as well as how different the performance results may be over different time periods. In November 2013, for example, the basic materials sector gained only 3.62 percent in the year to date, while financial services gained 26.12 percent. Over five years, however, basic materials gained 17.15 percent, while financial services gained only 11.37 percent. 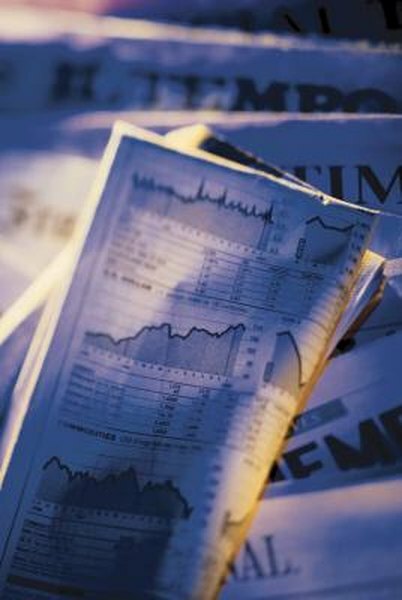 Various financial services and investment banking firms issue periodic papers evaluating the price potential of different stock market sectors. In 2013, for example, the Deloitte Center for Financial Services issued their "Commercial Real Estate Outlook: Top Ten Issues in 2013." The paper appraised future growth in various real estate areas, including real estate investment trusts. The authors conclude that various factors -- among them, the European economic crisis and structural problems in the U.S. economy -- will slow commercial real estate momentum. However, the authors conclude that high-value real estate will grow faster than the sector as a whole. Appraisals of market potential are interesting but have only limited utility, such as when you're considering buying a mutual fund holding stocks in a particular sector. In 2005, for example, a Gallup poll showed that about two-thirds of investors predicted that U.S. real estate would either increase somewhat or a lot in the near term and that real estate would outperform other market sectors. The same year, a Florida real-estate newsletter released a highly optimistic forecast for Florida real estate, noting Florida's strong job market and continually rising median housing prices and cited the President of the Florida Association of Realtors' predictions for a continually rising market in response to increasing demand. By 2006, however, U.S. housing prices were beginning to fall, and they fell continuously for the next five years, losing over 40 percent of their 2005 values. Florida real estate was hit particularly hard. A basic premise of the financial services industry is that investment professionals can predict stock market performance, and that by following their advice or investing in professionally managed funds, you can outperform the market. Studies by academic economists, among them an influential 2009 study by Eugene Fama and Kenneth French, dispute that result. Fama and French conclude that fewer than 3 percent of fund managers in their study beat the market average. Market analysts dispute Fama and French's conclusions and insist that good managers can accurately estimate market potential. The controversy is a reminder, however, that determining sector performance is easy, but determining sector potential is difficult. What Is the Long-Term Average PE of the Dow Jones?